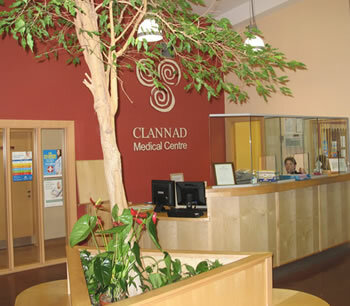 Welcome to Clannad Medical Centre. The practice was set up by Drs. Tom and Mary Coghlan in 1968 and originally based in Raheny Road. Since 2004 the practice has been located in Kilbarrack Shopping centre, Dublin 5. There are seven doctors and three practice nurses. The Surgery is open from 8.30am to 6pm Monday to Friday by appointment only. Please note that we close from 12.30 until 1.30 for lunch. Find us here, a lift is provided to access the surgery.